im having trouble when i open the client. 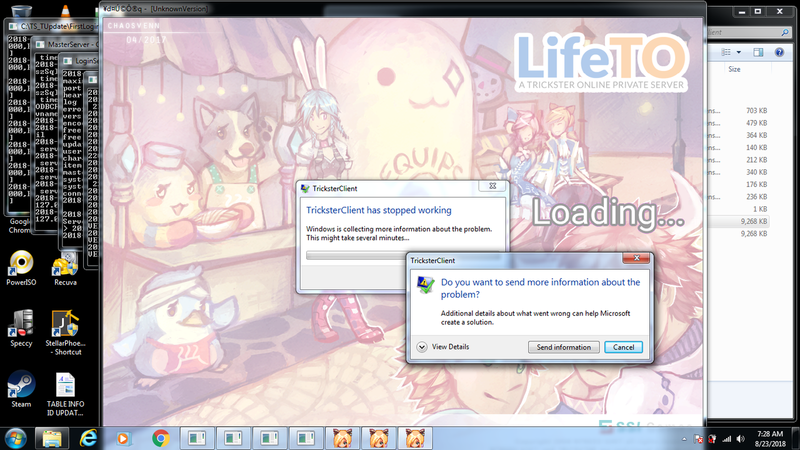 what i did was i copied the data folder of lifeto to trickster client folder and this is what i get. Solution: Don't use my client files. thanks for the reply. but i just want to translate the game into english. when i try to reach a portal its not allowing me to enter.